and the lemon flower is sweet, but the fruit of the poor lemon is impossible to eat. Look what arrived in my mail. My very own lemon tree. Isn't it amazing what they can mail to you? It had its very own warming pad to keep it nice and snuggly. My oldest daughter has two lemon trees, which are producing wonderful lemons for her, and so after I admired them repeatedly, she baked me a delicious lemon birthday cake, and she and my other daughter ordered one for my birthday. It will probably be a couple of years before it is producing beauties like these. I set it by the window in my bedroom, which gets lots of light, but I need to go out to the garage and find a pretty pot to put it in. 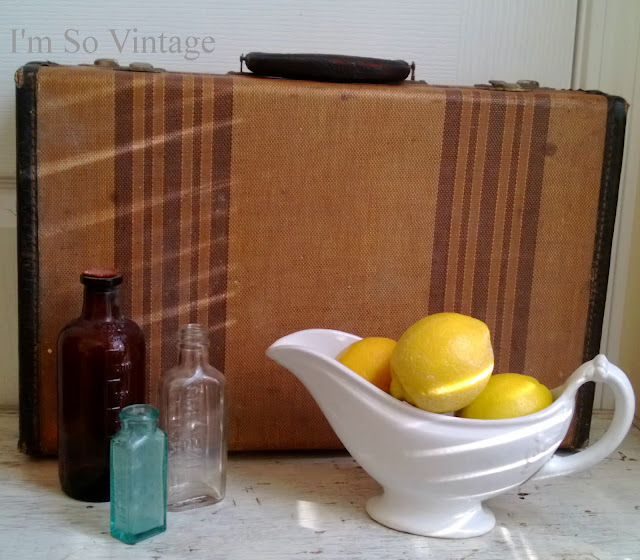 It is just too cold to venture out there right now, so the pretty pot will have to wait. In the meantime I am getting in a lemony kind of mood. So sweet! A wonderful gift that will continue to give you much pleasure. Happy belated birthday! Ugh, lemon trees. 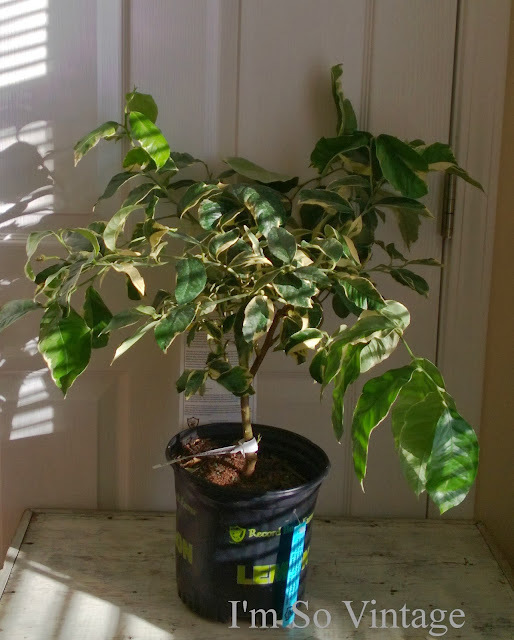 I've been nursing my baby potted indoor lemon tree for two years and it looks sad. May you have better luck. Haha. I've never had a lemon tree before. I love lemons as well. I cut them up in my ice water. I love lemon desserts too. 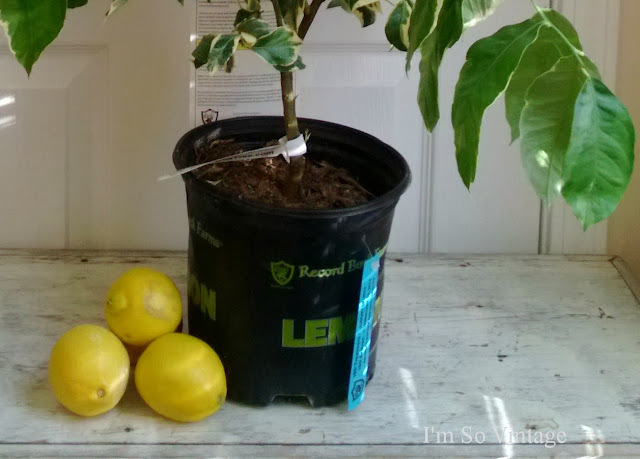 Good luck with growing your own lemons! What a perfect gift to nurture in this new year! You have lovely daughters, Laura! Lemon tree, very pretty!! Love that your daughter's sent you a lemon tree! Enjoy! What a dream to have your very own lemon on of these days! I love the smell of lemons. I think there might be something in the essential oil which improves the mood. That's a great gift! Now I'll have that Peter, Paul and Mary song stuck in my head all day. I remember my dad playing that album a lot when I was a kid. My mom and dad even painted a picture of a huge lemon tree in our foyer because of that song. What an unusual and wonderful gift! Happy new year!